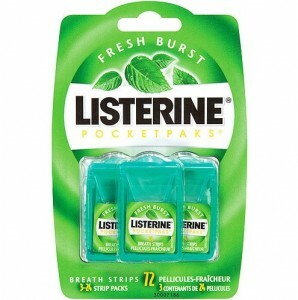 Home > Printable Coupons > Listerine Coupon | PocketPaks Only $1 at Kroger! Listerine Coupon | PocketPaks Only $1 at Kroger! Print this new high value Listerine coupon for PocketPaks! These are great on-the-go breath strips when you need a boost. And the great news is that they are still on sale at Kroger this week! Makes it only $1 or 33¢ per pack!